Would you pay $18 for a bowl of shaved ice and mango syrup? Well, we did and we loved every bit of it. It’s a trend that’s been seen around in many Asian style cafes and popular. The shaved ice dish is usually made from shaved water ice with mango syrup, some pieces of real mango and jellies. 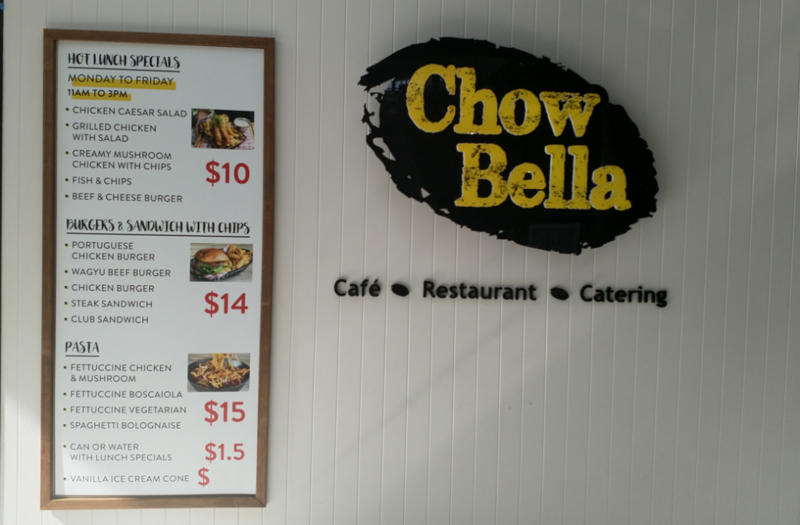 What we liked about Chow Bella Cafe’s version is that they made frozen mango ice first and then shaved that. 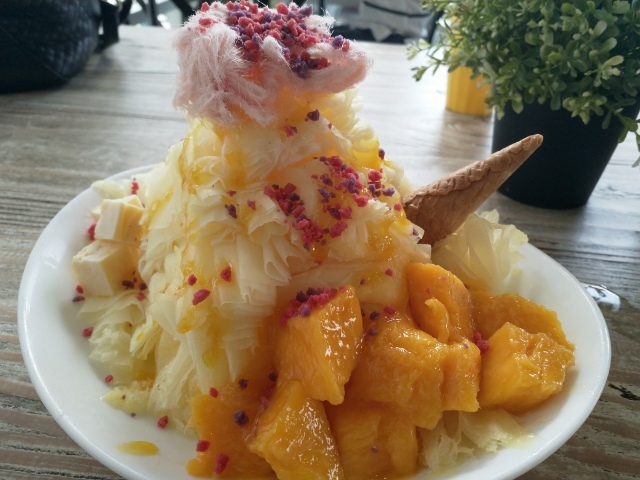 The owner of Chow Bella was happy to talk to us about this grand dish and notably said that by making the mango ice gave the dish a far more consistent mango flavour, you aren’t getting ice and patches of mango like other cafes. Chow Bella Cafe was also very generous with the number of real mango pieces on the dish, topped with Persian fairy floss and cubes of mango cheesecake and bits of candy. To be honest the only things we would change about this dish is the candy bits for popping candy and possibly the price to be $15. The dish is large enough for 2 people, or 1 person with a brain freeze. This is something that needs to be tried on a hot summers day. We can’t wait to be back for another round of mango delish.